Landowners who wish to protect and manage native vegetation on their property may enter into an agreement (covenant) with the Commissioner of Soil and Land Conservation under s30 of the Soil and Land Conservation Act 1945. Covenants are voluntary written agreements with the Commissioner to manage a spcified area of vegetation to retain and promote its growth. Covenants are positive, rather than restrictive, and may be in perpetuity. A covenant is a voluntary agreement between a landowner and the Commissioner of Soil and Land Conservation (Commissioner) that aims to conserve an area of land (or part of it) in as near to its natural state as possible. Covenants may be registered as a memorial on the Certificate of Title for the land and can bind any future owners of the land. Conservation Covenants and Agreements to Reserve are positive, rather than restrictive, covenants where the landowner agrees to manage the vegetation on their property in such a way as to retain and promote its growth. 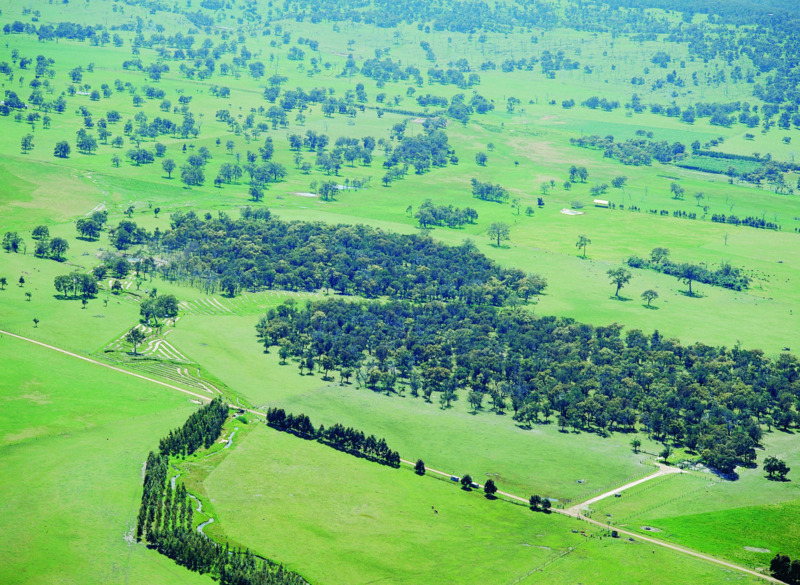 The covenant does not usually contain management prescriptions beyond limiting clearing and grazing of the native vegetation, and may allow uses such as removal of selected timber and seed collection. Fencing may be required to ensure livestock do not intrude into the covenanted area. Conservation Covenant which is irrevocable. The term of these covenants is usually specified for perpetuity or a period of time. Once finalised, the Commissioner does not have statutory authority to vary or discharge these covenants. Agreement to Reserve (ATR) which is not expressed as irrevocable. These covenants may be in perpetuity or for a specified time and may be varied or discharged by the Commissioner. From time to time, landowners may ask the Commissioner to discharge the ATR by applying to the Commissioner, in writing, stating the reasons they would like to vary or discharge the ATR. If the Commissioner refuses to discharge the covenant, the landowner can appeal the decision. Conservation Covenants and ATRs bind each person who has consented in writing to the covenant. They may be registered as a ‘memorial’ over the property’s Certificate of Title, binding successive landowners. Landowners wishing to enter into a covenant will initially need to provide an aerial photograph or a good quality plan that outlines the vegetation to be protected, with a list of any conditions required. If only a part of the lot is to be covenanted, the landowner must engage a licensed surveyor to draw up an Interests Only Deposited Plan ( IODP) that identifies the area to be protected by a covenant. Some IODPs can be completed by the surveyor as ’desk top’ work, rather than a detailed survey of the site. The surveyor will then lodge the IODP with Landgate. The IODP can be skipped if an entire lot (as described on the Certificate of Title) is to be covenanted. When the Commissioner has received advice that the IODP has been lodged and received an electronic copy, documents are prepared for the landowner’s review and signing when all details are confirmed correct. Where covenants are required as a condition of a statutory process, such as a subdivision approval or an environmental impact assessment, the Commissioner charges a fee for preparing the documents based on the time taken to complete the task. If a Conservation Covenant is proposed, a statement of undertaking will be included in the documents confirming that the owners understand they are signing an irrevocable covenant. Signed covenants are lodged with Landgate for registration of the memorial on the Certificate of Title.